For nearly 20 years we have delivered high end solutions and supported quality outcomes to promote good business within all our Client sites. We have worked with a lot of customers over the past 20 years! We have learnt and evolved at every turn and understand that our customer’s circumstances are all very different. You will experience a unique and individual approach to every project we take on. We expect 100% satisfaction from our customers and do not consider a Project finished until we have that guarantee. We are happy to provide references that relate to the type of project we are tendering for. We do not believe a project should take so long that the advantages of the end result have been long lost by the time its delivered! Working with the NHS for over 6 years has taught us vital lessons of delivering essential benefits on time and on budget! Usually achieved by attending less than average ‘meetings’! We distinguish ourselves by understanding IT and Mobile Technology better than many in the market place. We have a proven track record of analysing your business requirement quickly and concisely, agreeing them in a jargon free way and then ‘getting on with it’! Since our conception in 1996 we have helped support and resolve IT requirements and promote good business within all our Client sites. We have grown from a software training company way back in 1996 when the emergence of Windows hit our screens. Hardware and software technology have evolved beyond recognition in this time and we have stepped up to the changes each and every time. Our aim has always been to allow your Information and, more recently, Mobile Technology to work effectively and efficiently for your business, allowing responsive, reliable and well informed solutions that are cost effective, understandable and manageable to our Customers. Our mission is to engage with our customers on their level, take their ideas and make them reality. The emergence of proprietary and intelligent App development is taking business to a whole new level. Businesses acknowledge more and more that they need to engage their business, their employees and their customers with the vast opportunities this technology invites – or risk being left behind! We will help analyse what it is your business can benefit from, how best we can create the solution and on the most appropriate platform. We really mean it when we say we are passionate in providing positive changes to your working environment. Particularly experienced, but not restricted, in providing real solutions to real problems within the Healthcare environment. Please contact us to chat over any ideas you have that could make your work place an easier, more effective and more efficient place! delivering on time and budget. delivering the latest updates first. 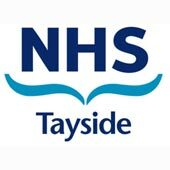 I have had the pleasure of working with Softaware on a series of exciting projects within NHS Tayside. Consistently, Softaware’s development team demonstrate a clear understanding of customers needs. This is demonstrated in their approach to new project development, whereby they seek end user feedback very early in the design and build stages to create an end product that exceeds initial expectations in terms of ease of use and functionality.